Is your sofa beginning to look a bit used? Is it lacking the life and charm that helped you purchase it to begin with? Rather than putting it to the curb, consider furniture reupholstery! 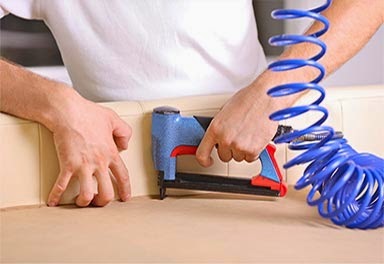 EMILYN can replace everything from the springs in your sofa to the upholstery and slip covers. Ready for a new look? Completely swap out the upholstery to have a brand new sofa at a fraction of the cost of purchasing new furniture. Come & Visit Our Showroom! 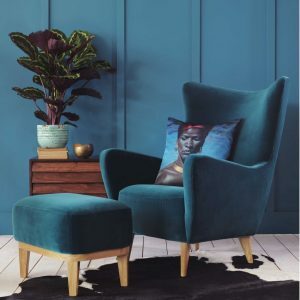 We specialises in cutting-edge design, and within its comprehensive portfolio of fabrics you will discover an amazing breadth of prints and weaves in a dazzling array of colours and textures. From bold and contemporary to understated and classically elegant, there’s a vast choice and a world of opportunity to help you transform your home! Choosing wallpaper over paint, some might be surprised that, over time, vinyl wallpapers are also a wise economical choice. According to the latest report, lifecycle analysis shows that wallcoverings now last five times longer than paint, under normal usage conditions. Most vinyl wallcoverings can retain their original beauty and performance characteristics for at least 15 years, whereas a painted surface must be cleaned more frequently to maintain its appearance, and generally requires repainting approximately every three years. While the initial investment is higher, choosing vinyl wallpaper over paint can result in a savings of 30% or more over time. Re-Upholstery is an earth friendly way to ‘recycle’ a beloved old piece of furniture. After all, some pieces have such sentimental value that they are impossible to replace; but you still don’t want your favorite soft furnishings looking down at heel. 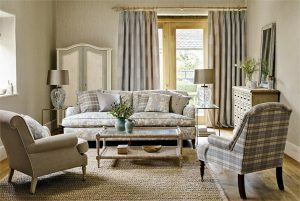 Curtains are one of the most important elements in interior decoration. They provide a focal point and can change the appearance and atmosphere of any room. 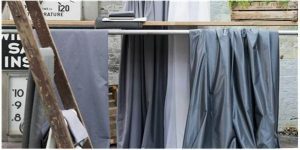 Be they dramatic and richly trimmed or plain and simple , curtains are very easy to make.